BMW is at a crossroads with the 6 Series, undecided as to whether the next-generation model should stick with its existing formula, grow bigger and more luxurious (a reborn 8 Series) or, at the other end of the spectrum, go smaller and become a Porsche 911 fighter. Based on our latest crop of spy shots, it appears BMW is entering the final phases of testing for both the new 6 Series coupe and convertible. From what we can tell the new model looks somewhat smaller than the current one, which means it won't be a spiritual successor to the 8 Series. But has it become a 911 competitor? 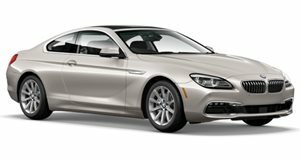 To an extent, somewhat, but we still think it’s more of an evolution of today’s 6 Series. For starters, we’re willing to bet this car is based on the same platform that underpins the new 5 Series, just as the case is right now. Question is how much did BMW modify this platform for GT car duty? Has it become more of a driver’s car instead? We asked BMW about this at Detroit last week and, not surprisingly, didn’t receive a direct answer, only that the next-gen 6 Series will once again break new ground within its segment. But that’s just it: Which segment will that be? We previously speculated the eventual new M6 will feature either an updated version of the 4.4-liter twin-turbo V8 or, perhaps, a 4.0-liter turbocharged V8. Right now it’s anyone’s guess, but here’s what we’re predicting: BMW is taking the safer route by simply evolving the 6 Series, making it lighter and its overall dimensions more compact. A revived 8 Series will be a separate car and, for now at least, BMW isn’t gunning after the 911. 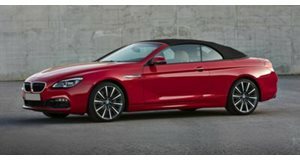 The coupe, more than likely, will be revealed in September at Frankfurt, while the convertible will come roughly six months later. As for the next 6 Series Gran Coupe? Honestly, that could come at the same time as the convertible. In the meantime, BMW is focusing on the launch of the new 5 Series, but once that’s set, it’ll be the new 6 Series’ turn.